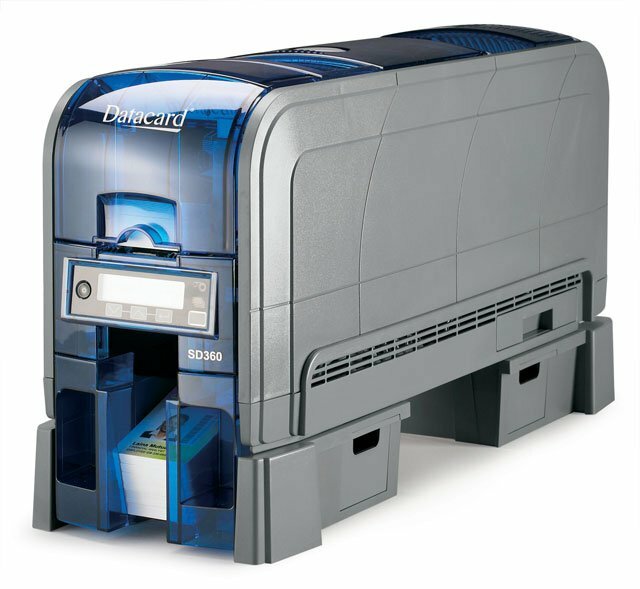 Outstanding print quality, reliability, easy operation and efficiency in a small footprint. 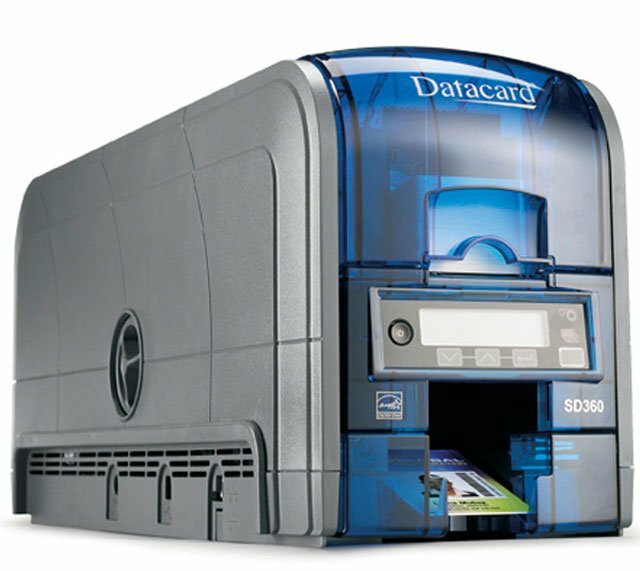 The Datacard SD360 is packed with industry-leading innovations that make desktop ID card printing simple and economical. The SD360 are ideal for small to medium sized businesses, schools, hospitals, fitness clubs and anyone who prints ID cards as part of their busy workday. 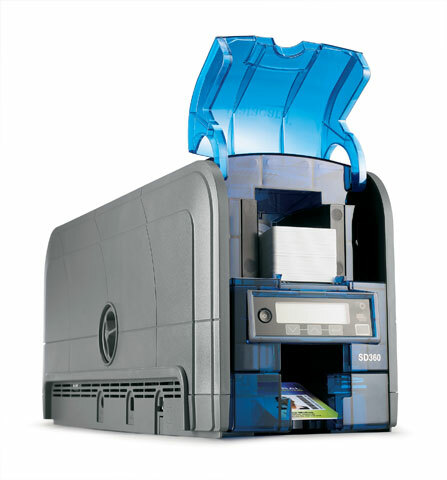 With the SD360 you are able to print more cards in less time and is significantly faster than any other desktop card printers in their class. The TruePick, anti-jam card handling accurately picks cards, standard and thin, with no adjustments. The SD360 also features the new TrueMatch printing technology which ensures the colors on your screen closely match the colors on your card. Batch after batch, you get consistently crisp, clean printing results from the first card to the last. The Datacard SD360 also allows for easy operation that anyone can master. Intuitive icons guide you through the soft-touch control panel and LCD screen. Cards and supplies are easy to load, and the ergonomically designed ribbon cartridge includes a drop-in cleaning roller. Cable, RJ Interface, Compatible with CR1000/CR1600/CR1800 and Epson/Star/Citizen Printers. 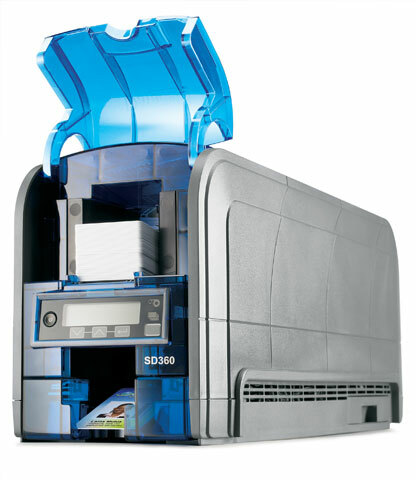 3 Year, 36 Month Rapid Replacement Depot Warranty Upgrade for SD360 Printer. Provides Toll-free, 24/7 access to customer support, Technical Phone support for hardware. Next Business Day turnaround time from receipt of failed printer. 24 Month Post Warranty Depot Contract for SD360 ID Card Printer, provides Toll-free, 24/7 access to customer support, Technical phone support for hardware, 5-day (Excluding weekends and holidays) turnaround time from receipt of failed printer, with ground return shipment method. Post warranty service contracts must be ordered 30 days before the end of the warranty period. 12 Month Post Warranty Depot Contract for SD360 ID Card Printer, provides Toll-free, 24/7 access to customer support, Technical phone support for hardware, 5-day (Excluding weekends and holidays) turnaround time from receipt of failed printer, with ground return shipment method. Post warranty service contracts must be ordered 30 days before the end of the warranty period. 36 Month Post Warranty Depot Contract for SD360 ID Card Printer, provides Toll-free, 24/7 access to customer support, Technical phone support for hardware, 5-day (Excluding weekends and holidays) turnaround time from receipt of failed printer, with ground return shipment method. Post warranty service contracts must be ordered 30 days before the end of the warranty period. 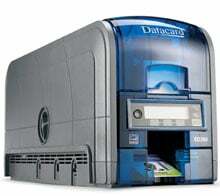 The Datacard 506339-014 is also known as Data Card	DCD-506339014	or 506339014	.